After graduating from Palmer College of Chiropractic in Davenport Iowa, Drs. Jeff and Cindy Morrey decided to establish a practice in Clarksville Tennessee. 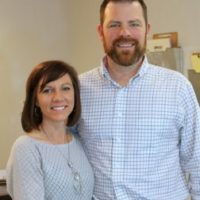 From day one, their clinic's purpose is to utilize Chiropractic technique, physiotherapy, and therapeutic massage to improve the overall health of the people of Clarksville. Chiropractic to them is more than just a career, it's a passion that drives them to become better and better each day, each adjustment, each patient. Dr. Jeff describes it as "a relentless pursuit of self improvement". In our attempt to ensure the highest quality service for you and our Chiropractors we decided upon this process. After filling out the form we call Dr. Jeff Morrey and then connect you into the call, ensuring you don't end up speaking with an answering machine.